Everyone on Earth Guested on Lil Dicky’s ‘Earth’Lions and baboons and Bieber, oh my! EPA: Actually, a Little Radiation Might Be Good For YouThe Trump administration is moving to weaken rules related to radiation exposure. Alabamians Are Sick of New York’s CrapNew York City is cutting ties with a Birmingham-area landfill after local outcry over the smell of their imported Gotham sewage. The EPA Is Driving Away Scientists and That’s Just What Trump WantsMore than 700 EPA employees, 200 of whom are scientists, have left the agency since Trump took office. Report: Trump Administration EPA Going Soft on PollutersMaybe people who hate the EPA shouldn’t run the EPA. Trump Reinstates Elephant Trophy Ban, Possibly for GoodThe president had said he wanted to review whether or not killing elephants saves elephants. New Govt. Climate Report Says Earth Is Getting Hotter and Humans Are to BlameThe Trump administration has a few people who disagree. Flying Insects Are Disappearing and That’s Not a Good ThingA new study shows a dramatically reduced biomass in obnoxious but necessary flying insects. 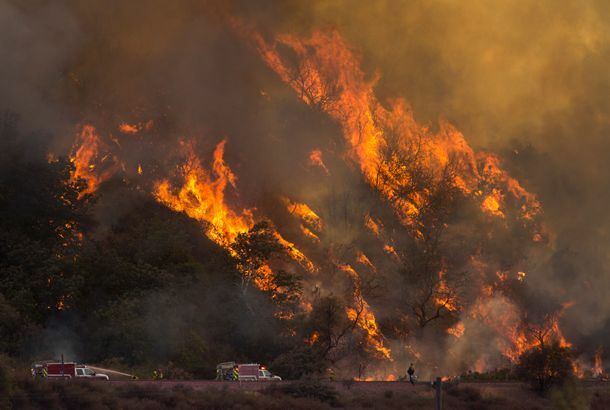 This Isn’t ‘the New Normal’ for Climate Change — That Will Be WorseThe wildfires raging in California, the hurricanes that battered the United States: they are only the beginning of what is to come. 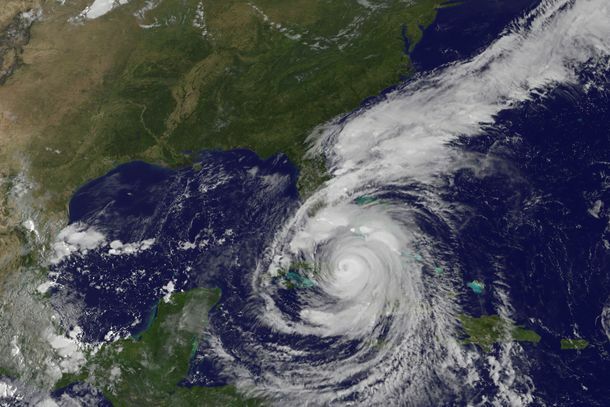 Will Irma Finally Change the Way We Talk About Climate?This summer’s outbreak of extreme weather should force everyone to see climate change for what it is and what it does. 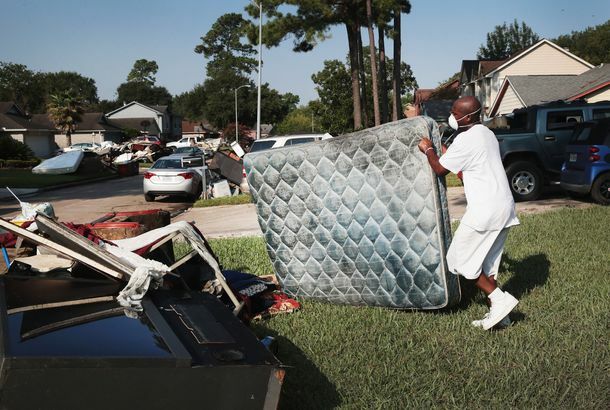 EPA Denies Houston Superfund Sites Being Neglected, Attacks ReporterThe AP reported on Saturday that several Houston area toxic-waste sites had flooded and were not being checked by the agency. When the Waters Recede, Trash Piles UpIn the aftermath of Hurricane Harvey, Texas will have an untold supply of trash, and it will have to go somewhere. Fearing Environmental Disaster, Big Oil Wants Trump to Slow Regulation RollbackThe oil giants also want to make sure smaller companies have a hard time sharing in their success. The Dakota Access Pipeline Went Online TodayOn the same day President Trump withdrew from an international climate deal, the controversial project started shipping oil. Report: Trump Saying He Will Pull U.S. Out of Paris Climate DealAmerica’s exit from the agreement wouldn’t doom the 195-country pact, but it would increase the danger the world faces from global warming. Tens of Thousands March Against Climate Change, Trump in Washington, D.C.The massive crowd braved record temperatures and, yes, brought good signs, too. Obama Names New National Monuments in the WestThe president has so far put 548 million acres of land and water under federal protection. Protesters Declare Victory After Construction of Dakota Access Pipeline HaltedThe U.S. Army has decided to deny permits for construction of the oil pipeline while it investigates alternate routes. Standing Rock Protesters Vow to Remain at Camp, Despite Army Corps OrderNorth Dakota officials are pressuring the federal government to intervene in the seven-month-old protest. Hundreds Injured, Some Seriously, in Dakota Access Pipeline ProtestOne protester had a heart attack, and another went into surgery after her arm was injured by a concussion grenade. The North Pole Is Basically Hot Right NowA spike in Arctic temperatures and a record-low ice-sheet extent add to 2016’s climatic woes. More Than 140 Arrested As North Dakota Pipeline Standoff IntensifiesClashes with protesters and police. Men Are Destroying the Earth Because They Think Environmentalism Is Too GirlyGet out of here. As America’s Largest Reservoir Hits Record Low, a Dam Debate ReturnsNow that the Colorado River basin’s water supply is drying up, should we consider undoing some of America’s greatest engineering feats? Kenya Lights the Largest Ivory Bonfire in HistoryThey torched more than 100 tons of confiscated ivory and rhino horns in an attempt to discourage poaching. Japanese Fleet Kills Hundreds of Pregnant Whales in Apparent Violation of UN BanJapan “researched” the whales before they brought them home to market. Obama Administration to Nix Atlantic Coast Drilling PlanThe Arctic will probably stay off limits as well. Next Challenge for Flint: Enormous Piles of Empty Water BottlesTheir recycling program was not ready for this. Bolivia’s Second-Largest Lake Is Now a WastelandIt has basically disappeared. New Study Argues Vegetarianism Isn’t As Earth-Friendly As People ThinkEating lettuce is reportedly “three times worse” than eating bacon. Meal-Kit Deliveries Are Actually Terrible for the EnvironmentThey’re literally full of so much garbage. The Sixth Mass Extinction May Actually Be HereA group of scientists have concluded a historic die-off is indeed under way, and humans will be among the threatened species. This Greenland Glacier Lost a ‘Mountain Range’ Worth of Ice in the Last MonthFor those who think they’ll be long gone by the time climate change matters. New York’s New Superfund Site Is a Block in Ridgewood It’s the most radioactive place in the city. As a Superfund Site, the Gowanus Canal Will Take Ten to Twelve Years to Clean UpThe city claims its own plan would have been much faster. Bloomberg’s ‘Bag Tax’ to Include More Than Just Grocery StoresWhy the proposed plastic-bag tax is expected to rake in so much more than earlier estimates. Obama to Let States Have Their Way With AutomakersNew York is one of over a dozen states hoping to set tighter fuel-efficiency standards, which the EPA forbade under President Bush. Crisis Averted: Rob Lowe Uses ‘Wayne’s World’ Experience to Fix Global WarmingGlobal warming is no match for Rob Lowe’s handsomeness. In Obama Endorsement, Al Gore Reaches New Rhetorical HeightsLast night in Detroit, the former vice-president got downright inspirational. Warren Buffett Reprises Role on ‘All My Children’It’s more exciting than when Billy Clyde Tuggle returned from prison! Gagillionaire grampy Warren Buffett will appear on All My Children this spring, in a role he first played in 1992. Damn You, John StosselAt Live Earth, Robert F. Kennedy Jr. and John Stossel continued their public feud over global warming. Ron Perelman and Gina Gershon are hanging out on Perelman’s yacht off the coast of Italy, but they may not be dating. Eliot Spitzer and Charles Schumer are weekend telephone buddies. Former Bronx congressman Mario Biaggi no longer holds a grudge against Rudy Giuliani, even though Giuliani successfully prosecuted him for bribery twenty years ago. Al D’Amato is happy he’s going to be a father again. Mel Gibson bought a $39.5 million estate in Greenwich, Connecticut. NBC accidentally featured Katie Couric in a Today-show promo. Hillary Clinton is hosting three Hamptons fund-raisers the first weekend of August. Except for at Bloomberg, It’s Not Easy Being GreenAnother day, another company going green: Today it’s Bloomberg LP (which, frankly, was a bit of a surprise; we’d assumed Mike’s moneymaker has long been running on, oh, let’s say discarded trans fats). It was only a matter of time, then, before we’d see some sort of backlash from the “traditional” utility forces. In California, L.A.’s Department of Water & Power (yes, the corporate villain of Chinatown) has pulled the plug on Gore Vidal’s home solar-power plant, literally ripping out the wires and taking down the panels. Supposedly the system was improperly installed; now Vidal is back on the grid like a good little customer.